Welcome November; a new month. It feels good to be at my machine again! I decided I wanted to start the month off right and begin working right away (I had to dust off some serious “bunnies” from my machine first). For me the hardest part is often just getting started. That is true for many things in life- yes? I may have to sneak away here and there to quilt some more circles. 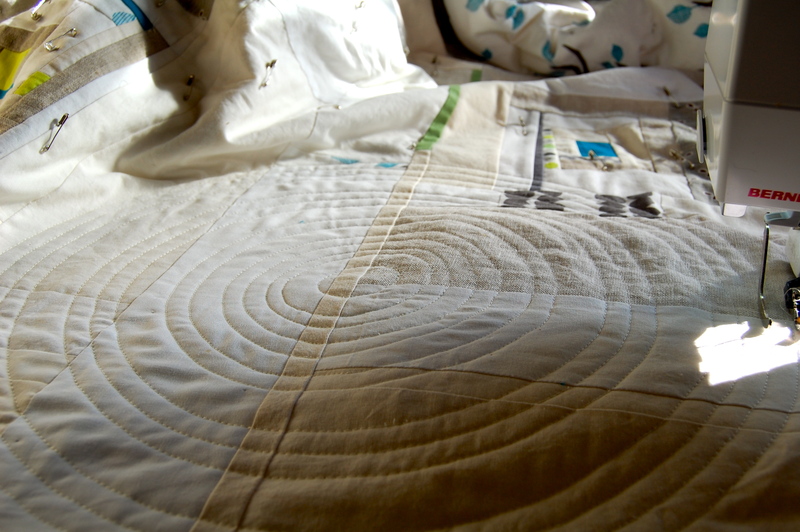 You many notice that I have created some smaller inner circles on this quilt. I have added my super easy method for doing this, into my Concentric Circle Quilting Tutorial which you can see right here! ‘the hardest part is just getting started’ YES!!! i’m often paralyzed by the choices there are before i start out on any project… LOVE your circles… !! good luck this weekend! I love these circles!! What is the largest quilt you could manage this on? The ones I am working on are over 70″ and I am not sure I could manoeuvre them through the machine?? 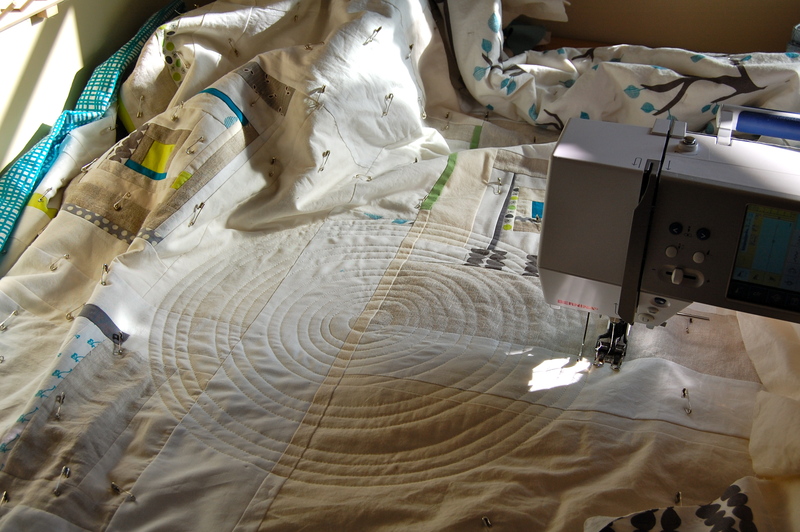 I have just started my first experiment in concentric circle quilting… so far so good :0) I’ll have to go and check out that tutorial. PS Love the quilt and look forward to seeing it finished! What a gift you have given me. I have been wondering whether or not I’m brave enough to tackle this, and now Iknow I am! I’m going to a camp, this will be a wonderful project to “concentrate” on. Yay – all finished. Thanks for the tutorial and the comment! You are a no reply commenter, otherwise I would have emailed you back. 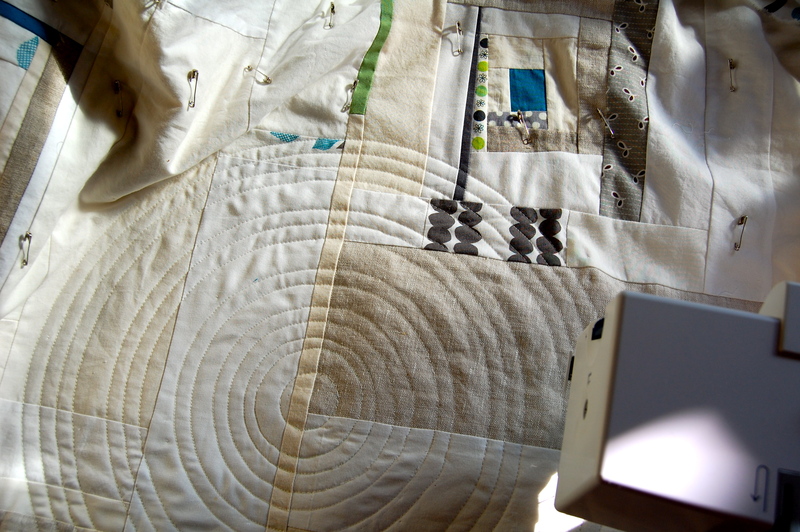 Keep up the great quilt designs – I’ve just spent a good hour reading back over some older posts – I love love love your style.